Test your Gin Rummy skills in this fun version of the popular two-player card game Gin Rummy Plus! Choose between different opponents, each with a different playing style, select one who matches your skill level and try to earn the most points. Sort your cards to form sets and runs, keep an eye on your opponent and use the right strategy to win! Are you able to get a Gin? This game can be played on all devices. Enjoy and have fun. Gin Rummy Plus Game is one of our Board Games at Round Games. It also tagged as a card and 2 player game. To play even more free games, view our most played and all games pages. 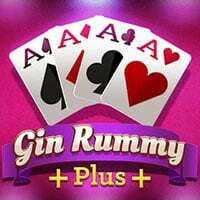 If you want to play more like Gin Rummy Plus. Then you can simply check out the games inside the game tags that are the most relevant to your interests. Or check the Board Games category or check the related games section at the end of the game page. Also make sure to check out Rummy Multiplayer Game, you may enjoy playing it.